Older adults who participate in any amount of physical activity gain some health benefits, including maintenance of good physical and cognitive function. Some physical activity is better than none, and more physical activity provides greater health benefits. You should aim to be active daily. Over a week, activity should add up to at least 150 minutes (2½ hours) of moderate intensity activity in bouts of 10 minutes or more – one way to approach this is to do 30 minutes on at least 5 days a week. Moderate intensity physical activities will cause you to get warmer and breathe harder and their hearts to beat faster, but you should still be able to carry on a conversation. For those who are already regularly active at moderate intensity, comparable benefits can be achieved through 75 minutes of vigorous intensity activity spread across the week or a combination of moderate and vigorous activity. Vigorous intensity physical activities will cause you to get warmer and breathe much harder and your heart to beat rapidly, making it more difficult to carry on a conversation. It is also recommended that you should undertake physical activity to improve muscle strength on at least two days a week. Physical activities that strengthen muscles involve using body weight or working against a resistance. This should involve using all the major muscle groups. Older adults at risk of falls should incorporate physical activity to improve balance and co ordination on at least two days a week. 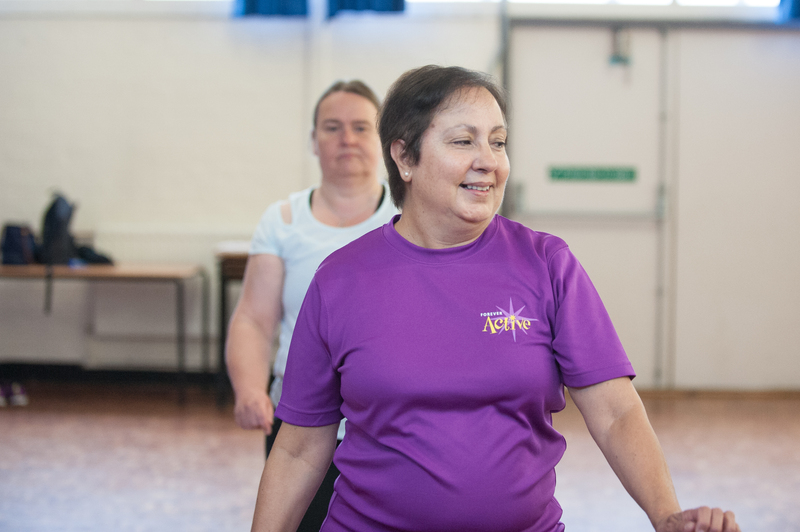 The Forever Active Instructors are qualified to ensure that the exercises taught within the Forever Active classes are focused on improving participants health fitness with a particular focus on the guidelines above. 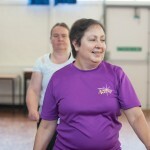 The Class information page details all the classes and activities which are available to you as part of the Forever Active Forum Ltd.